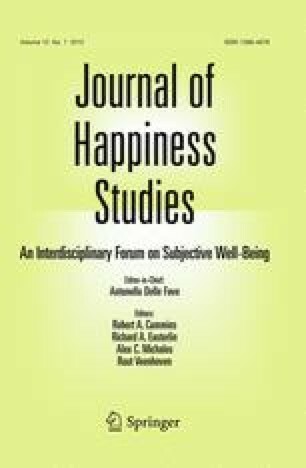 This study examined the effects of writing letters of gratitude on three primary qualities of well-being; happiness (positive affect), life-satisfaction (cognitive evaluation), and depression (negative affect). Gratitude was also assessed. Participants included 219 men and women who wrote three letters of gratitude over a 3 week period. A two-way mixed method ANOVA with a between factor (writers vs. non-writers) and within subject factor (time of testing) analysis was conducted. Results indicated that writing letters of gratitude increased participants’ happiness and life satisfaction, while decreasing depressive symptoms. The implications of this approach for intervention are discussed.